These commercial roofs have been in use for more than 100 years. And, there’s a good reason for that. They are still the most popular options for flat and low-slope roofs. That doesn’t mean, though, that every commercial roofer out there has the expertise to make sure your built up membrane roof is installed correctly, provides the protection you should expect from a roof with 100 years of use to back it up, and protects your roof for years to come. Iron Shield Roofing has that expertise. So, if you’ve got a commercial built up membrane roof that needs to be repaired or replaced, give us a call. You’ll often hear these roofs referred to as tar and gravel roofs, because they are often covered with a layer of gravel. But this name is a bit misleading. If you’ve got a gravel roof on your commercial building, what you’ve really got is layers of membranes made up of a complex system of bitumen-reinforced fabrics. 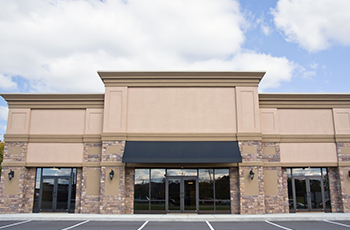 Your commercial membrane roof has probably not given you much trouble over the years. But, that doesn’t mean it is indestructible. If you haven’t had it inspected in a while, give us a call. We’ll do an inspection, and we might even catch a small flaw or leak that we can fix before you’ve got any expensive damage to deal with. If your commercial building needs a new roof, consider a four-ply built-up membrane roof from Iron Shield Roofing. They may take a little longer to install, and cost a bit more upfront, but they stand up to Alberta’s weather extremes like nothing else. They provide excellent UV-light protection and scoff in the face of inclement weather. They are also really low maintenance, as you may know if you haven’t had to think about your roof for the past ten years or so. That’s a bit long to go, even for a built-up membrane roof. If it’s been that long, give us a call. If your roof is showing signs of wear, like open joints, blisters, waves or cracks, we can repair those for you pretty quickly and easily. Don’t wait to have repairs made though. While they are super durable, once the membranes have been breached, they’ll continue to deteriorate as long as they are exposed to the elements. A small crack won’t remain a small crack for long. We demand the best from ourselves and from the manufacturers we work with. So, you can rest assured that we’ll be using only the highest-quality materials on your commercial roof. And, as evidenced by the long line of happy commercial customers who stand behind us, you can have confidence in the quality of our work and the efficiency of our communication. We pride ourselves on our customer service. Because, really, would you want to work with someone who did great work if they were terrible to work with? We sure wouldn’t. Come become one of our happy customers. Give us a call.